Hooray for Comics: For Pete's Sake!! Friends! Followers! Fans! Thanks for checking back. Sadly this blog has come to take a back burner as I still struggle to balance my work, drawing, life, travel and fine weather! When last we heard I was on my way to Stumptown in Portland, OR. 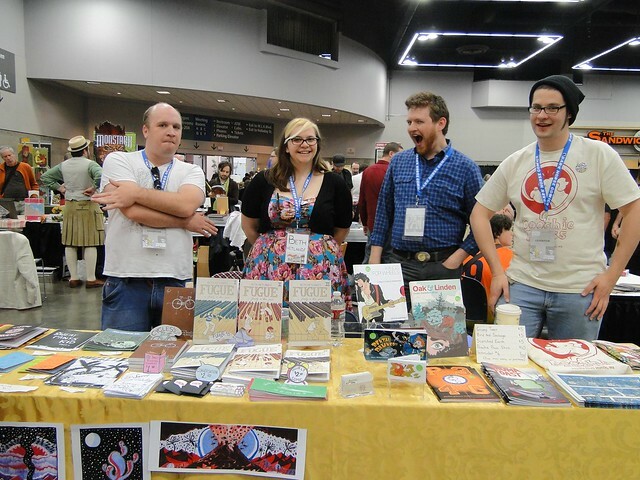 Stumptown Recap: Stumptown was a great show! I got to hang out with and table with a bunch of my buddies from CCS (some of whom I hadn't seen in a year!) and we did it up right. Such a fun couple of days. After all that fun of Stumptown I left with long time friend/mentor/former faculty of SAIC Surabhi Ghosh to stay with her and her husband Rob (and their kitty RAFI!) but also to guest teach at Surabhi's new school, University of Oregon. It was a really great experience to not only see a "real college" (compared to the Art Schools I've attended and visited) but also to teach some comics and binding techniques to a bunch of new students. We also went out for pizza for a little get to know Beth. Once all the pizza had been consumed I got a tip off from Mr. Alec Longstreth about a barcade not too far into Eugene that had LOTS of pinball. Of course I convinced Surabhi to let me play. But before I get too carried away in this update (for time is little!) 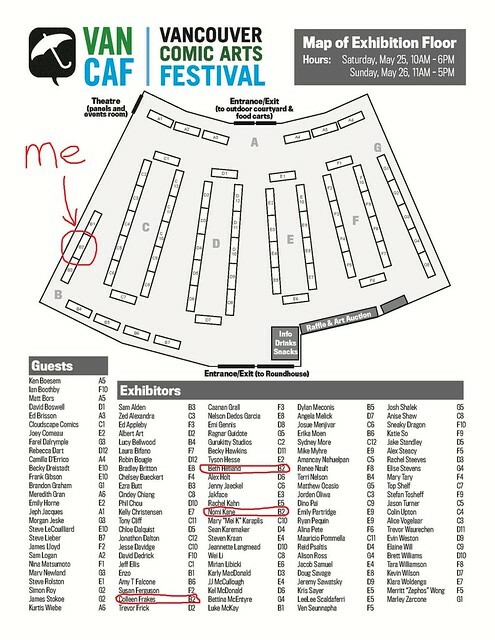 I need to tell you, dear readers, that I will be at a convention THIS WEEKEND. I don't know if I have any Beth Hetland fans way out in VANCOUVER but that's where I'll be! I'm making a pit stop in Seattle briefly to connect with my contingency there, and then myself, Nomi Kane and Colleen Frakes are driving up to the great north-NORTH-west. Here's where you can find us if you're in/near/around Vancouver on Saturday May 25th or Sunday May 26th. Until next time! Take care!